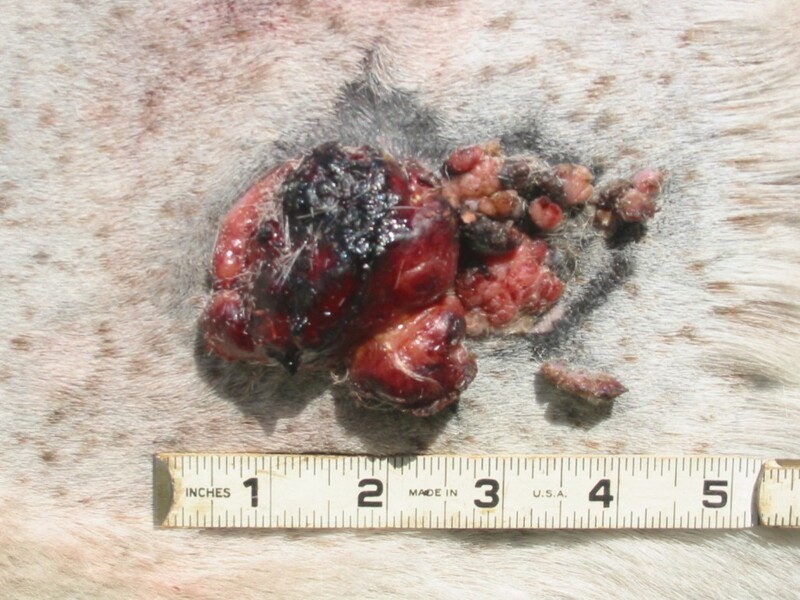 Equine Sarcoids can be the most mis-managed problem for horses and their owners. Sarcoids can render an otherwise sound horse unusable. 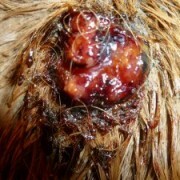 It is the most frequently diagnosed tumor in horses. 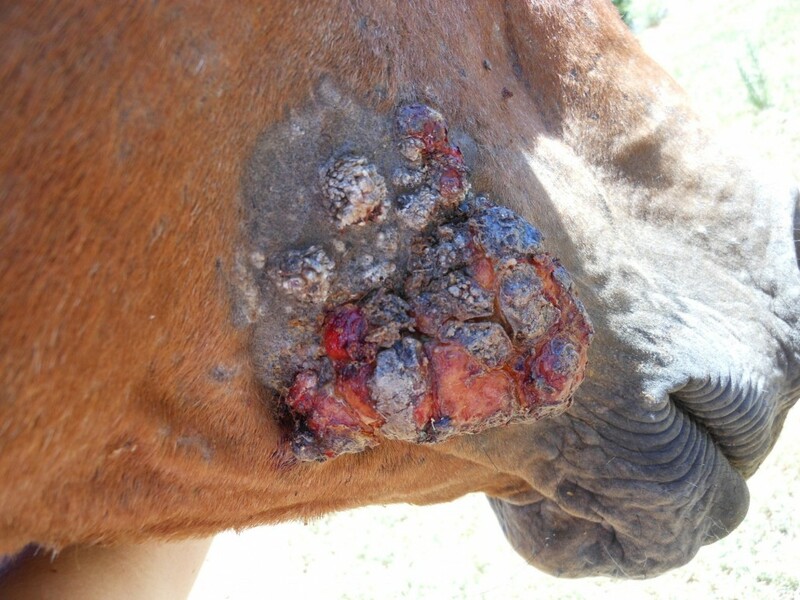 Surveys have estimated the predominance of sarcoids at 20% of all equine neoplasms and 36% of all skin tumors. 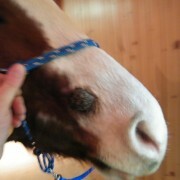 They occur at any age but are more common in young adult horses. 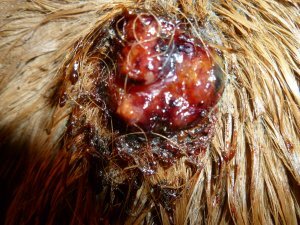 These tumors may be single or multiple and, although they occur most frequently on the head, limbs and abdomen, they can occur anywhere on the body including sites of trauma and healed wounds. Sarcoid Identification 101. Sacoids come in all shapes and sizes. We have listed the six different “types” of sarcoids below along with their description. Occult sarcoids – These are flat, hairless, lichen-like, slightly crusting, dark patches. They often have a smooth, dark hairless area around them. Verrucose sarcoids – These are raised, nobbly, dark areas that often spread into poorly defined margins. They can also be ulcerated on occasions. Nodular sarcoids – These are firm and nodular skin lumps which may have normal skin over them. Fibroblastic sarcoids – These are often ulcerated, weeping, raised sore lesions that may become pedunculated and cauliflower-like. Mixed sarcoids – Sarcoids are commonly a mixture of two or more of the forms described above. Malevolent sarcoids – These are rare, invasive sarcoids that invade deeper tissues beneath the skin. What can a horse owner do when confronted with a Sarcoid? Typically they ask two questions. How did they get it and how do I get rid of it? 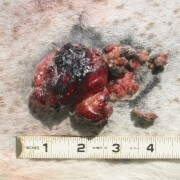 The answer to the first question is the underlying cause of Sarcoid tumors is the Bovine Papilloma virus. Yes a cow virus..that is transferred by flies. The answer to the second question is a little tougher. The traditional treatments may include banding with rubber rings, surgical excision, cryosurgery, injection with Bacillus Calmette-Guérin as an immunomodulator, radioactivity and topical or injected chemotherapy agents. Owners often ask are there “natural” products available to remove the Sarcoid? There are “Blood-root” products (zinc chloride) like Xxterra. Xxterra burns the sarcoid off similar to Wort Be Gone. 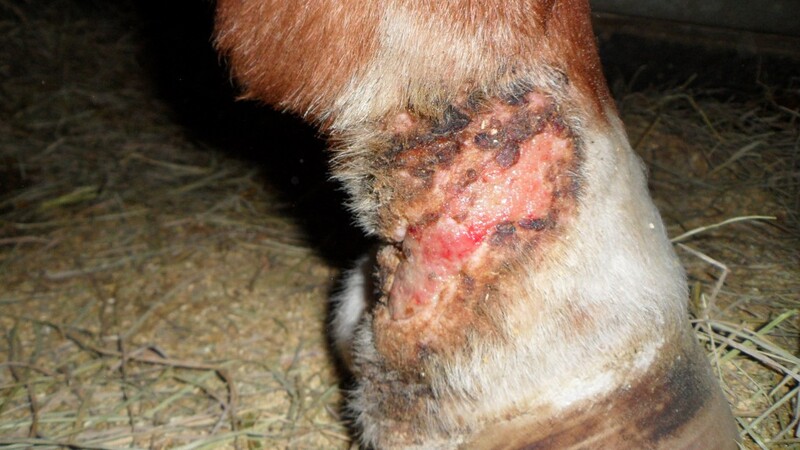 Very painful to the horse and after burning the Sarcoid, hair will not return nor grow back. 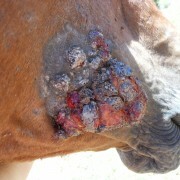 The sad part is none of these treatments we have discussed so far clear away the Bovine Papilloma virus. The virus can and will travel to other points in the body and return more aggressively. These treatments only address a symptom rather than the cause. There is another natural option for treating sarcoids. At Balanced Eco Solutions we treat both the sarcoid and the associated virus. 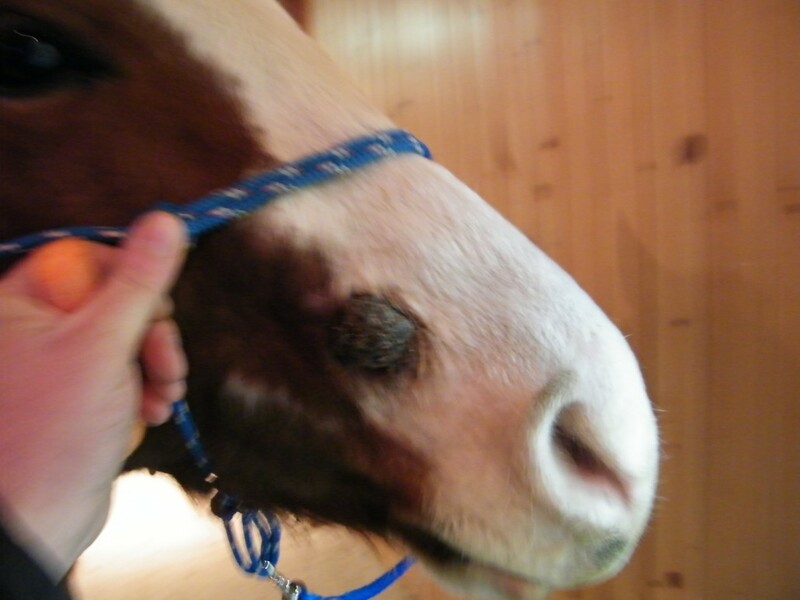 We do this by using one of two topical salves and an anti-viral feed supplement. 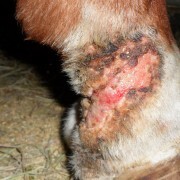 None of our topical salves contain blood root so there is no burning or discomfort for your horse. Both are a synergistic blend of herbs and honey. For more information on our Sarcoid Treatment Program check out our “Our Program” page. It will outline our 100% holistic treatment program and in-depth product descriptions.